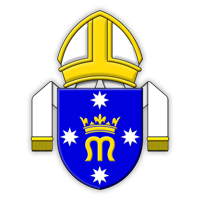 Monsignor Harry Entwistle is the first Ordinary of the Personal Ordinariate of Our Lady of the Southern Cross. 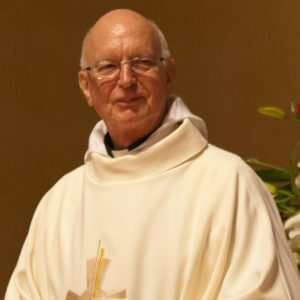 Educated at St Chad’s Theological College, University of Durham, he was ordained a priest in the Church of England Diocese of Blackburn in 1964. After various parish appointments in Lancashire, he became a prison chaplain, notably serving at HMP Wandsworth from 1981 to 1988. He migrated to Australia in 1988 and continued his parish and prison ministry in the Diocese of Perth of the Anglican Church of Australia. He entered the Anglican Catholic Church in Australia, a member church of the Traditional Anglican Communion, in 2006. He served as Western Regional bishop of that church from 2006 to 2012. After reception into the Roman Catholic Church and ordination as a deacon, he was ordained to the priesthood in St Mary’s Cathedral, Perth on 15 June 2012. It was announced on 5 April 2013 that Pope Benedict XVI had, before his renunciation of the Petrine Office, named Entwistle a Monsignor among the Prothonotaries Apostolic.